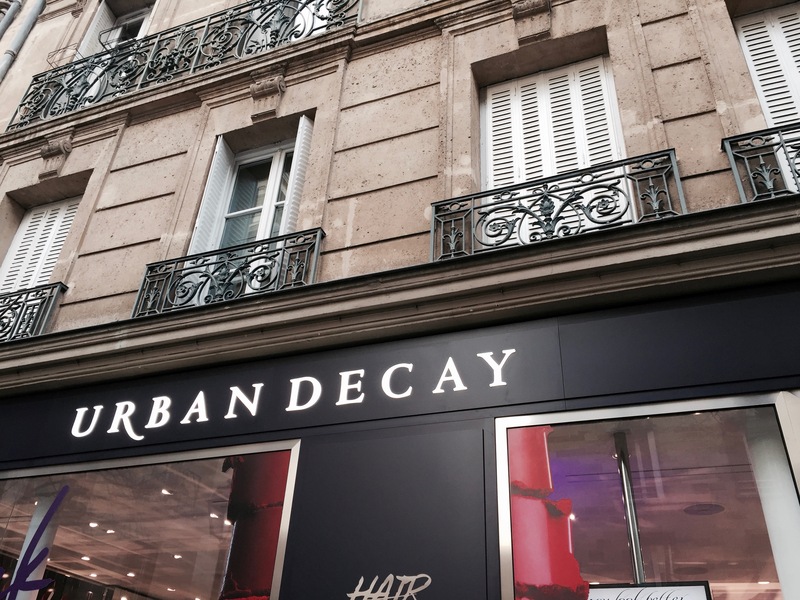 When I was in Paris I couldn’t go to the Marais without visiting this amazing store. In fact, it is the only store in France, it is very unique. As it is my favorite brand, I felt that I had to do a review of this store in a brand new article. The beauty of this store overtakes many others without forgetting the world of this brand which will do everything to make you smile. 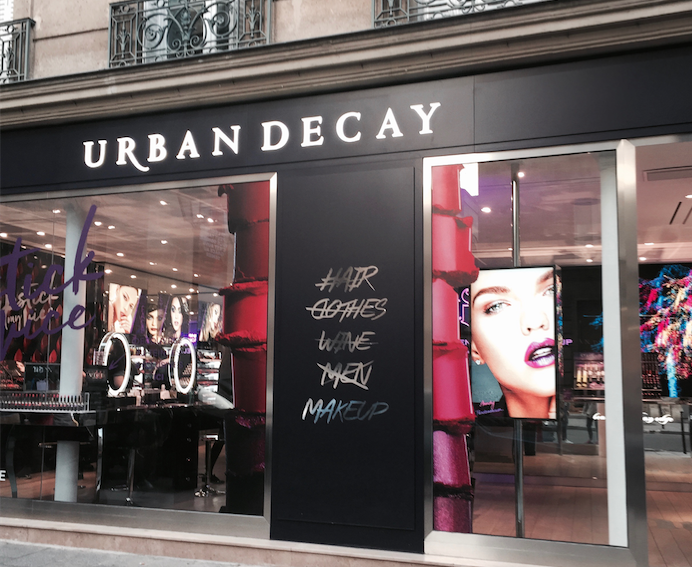 The most addicted of you were waiting for a mythic Urban Decay store in France, this wish came true for the happiness of UDers. This American brand, with their beautiful packagings, surprise every time they sell a new product, aren’t they? 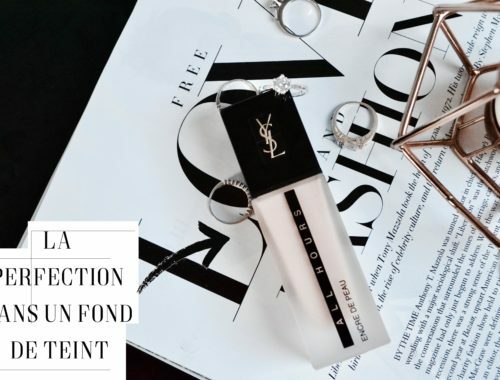 And if you are totally obsessed with the packaging and the quality, I will tell you that they are 100% Vegan and Cruelty-Free, do you ask more? Nothing? 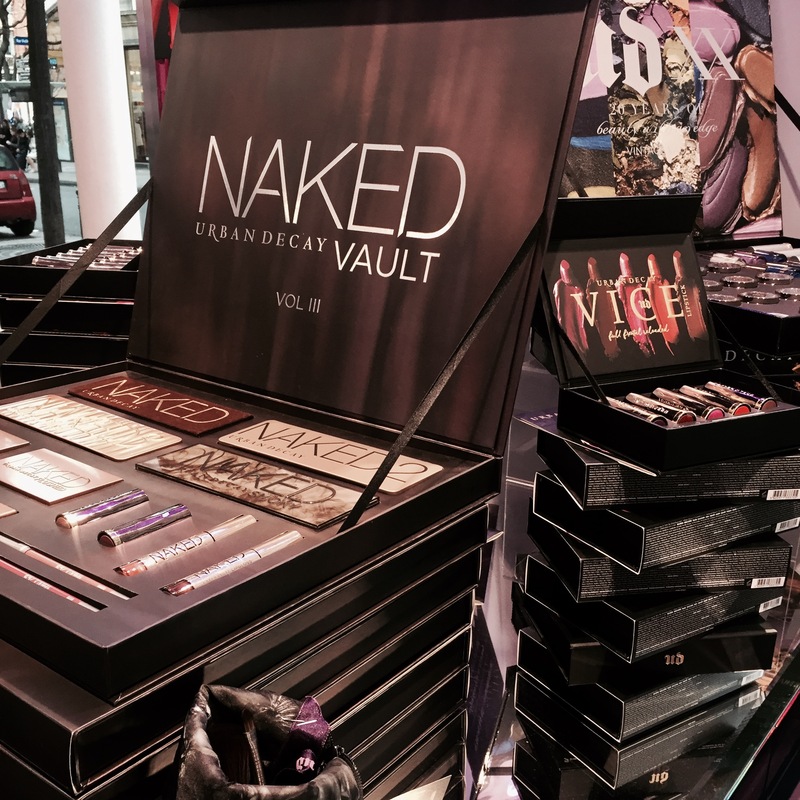 No, Urban Decay has not finished to surprise you with this brand new store worthy of their products! Open since October 2nd, first in a short-lived store and then in a permanent store, it conquers Parisian girls, members of the UDers. 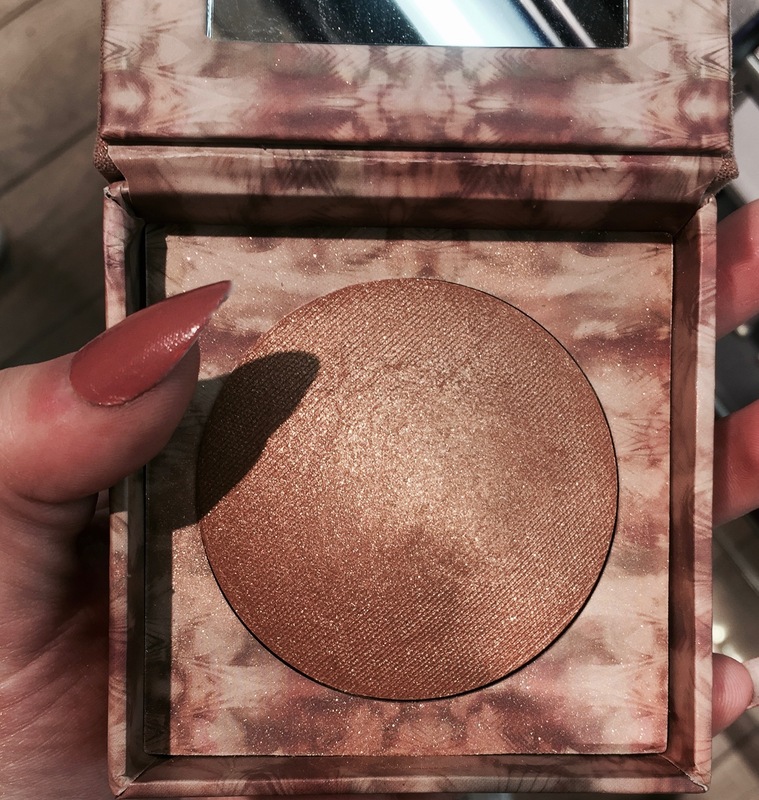 With big screens and lights everywhere, with Urban Decay you’re a star! The brand knows how to be original and to be different from the others: this is why they put a “photo booth” inside the store. It is easy, you have to take a photo with their tablets and then you can put some filters etc… Then a big screen will spread the photo for an hour. It is not over, customers can also like pictures on the wall but unfortunately, nothing is in play. 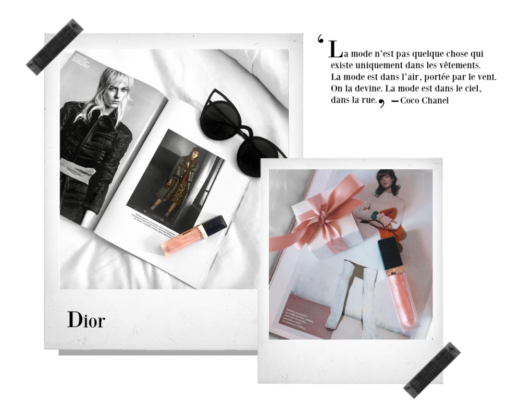 It is a little extra which can make us discover the brand a little bit more. 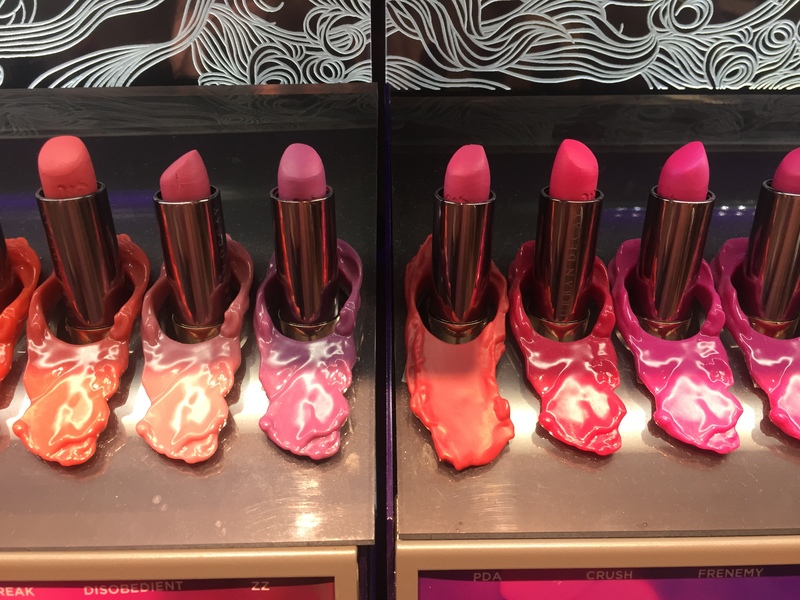 Sales assistants are also there at your disposal to make you test some novelties, do some makeup on you and give some advice. Moreover, the neon light and mirror atmosphere show a really good image of the brand. With its front windows worthy of a Naked palette, you can’t ignore of which brand this universe belongs to. With these mythical purple walls which won’t let you on the sidewalk. Front windows give us a little overview of what is inside. Certainly small, the store shows, however, the entire range of internet products and it is just as well! The brand knows how to present their products: a TOP 10 best-seller wall is there for you in illuminating shelves. A good point to know what to test. 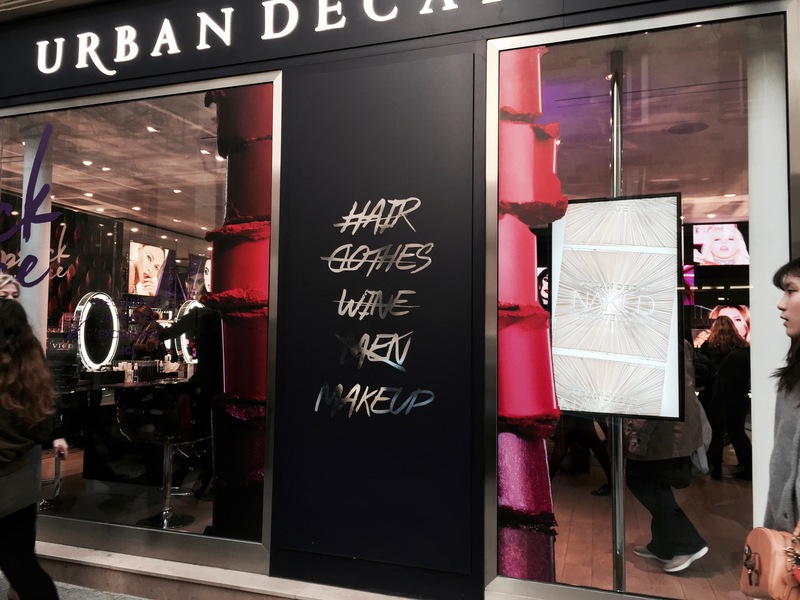 Because Urban Decay has always an open-minded spirit and knows how to be different from other stores, it suggests at the opening of the store: makeup classes, studio of discovery for new products, advice for the use of certain products… One floor below the store, just for you and a small group of people. 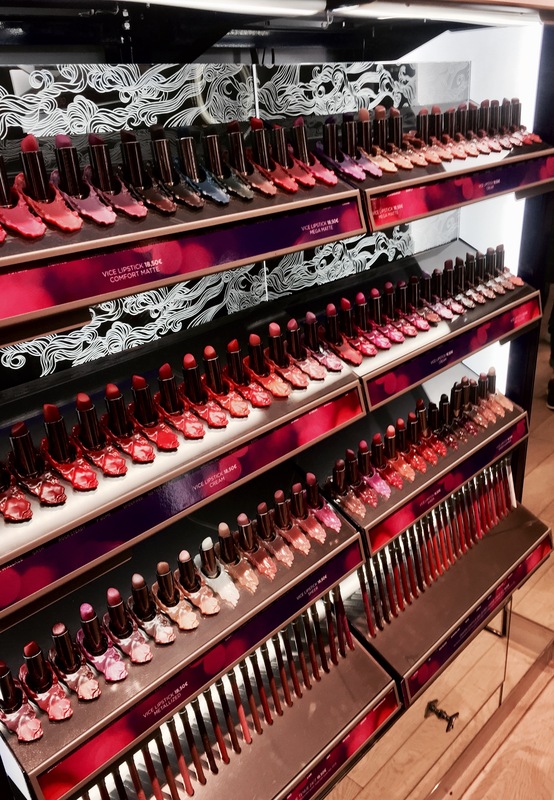 Because products are as amazing as the store, you have more products than the reseller, for example with their mythic set of makeup. This one is a set of 30 (exists also in five and in 100) lipsticks, you all have thought about buying some, haven’t you? Always sets, sets again. Not present in reseller of your town, they are here in Paris. 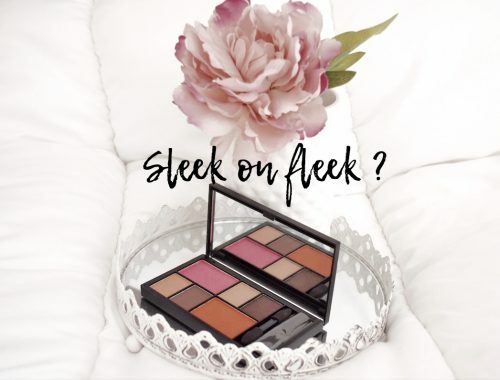 First of all, the Naked Vault which offers a product range of Naked palettes. 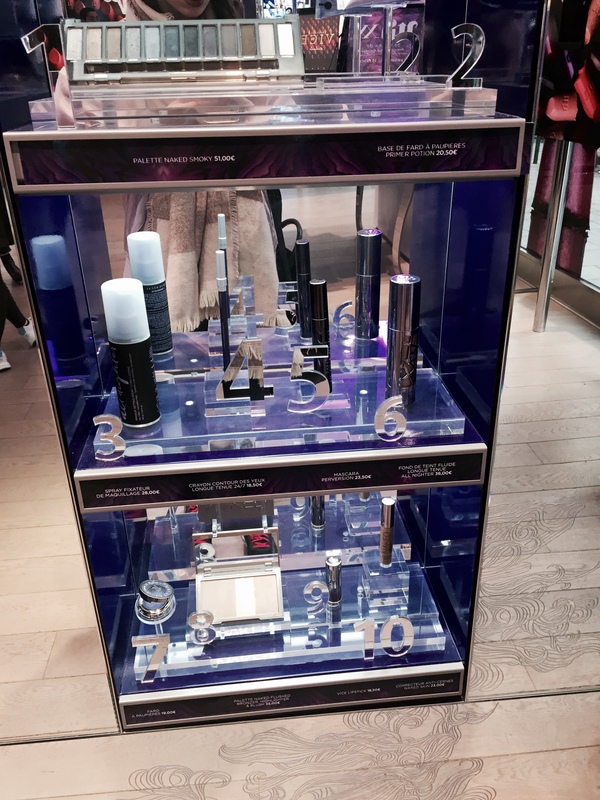 Then the 20th anniversary set of the brand which presents the most famous monos of the brand and their lipsticks. 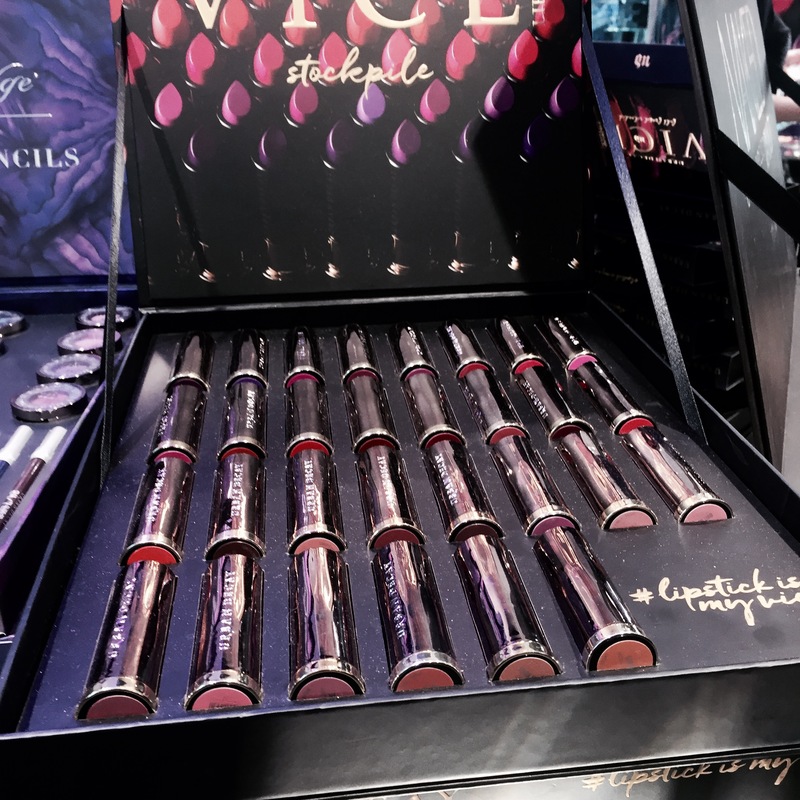 Don’t you remember the hundred of lipsticks of Urban Decay when it comes out last year in a very classy packaging ( see picture above)? They are all there! Yes, sold individually with their pen. Different finish, different textures for you. And the presentation is practical to use. Easy to find the tone you’re looking for with this classy presentation which you want to touch and with initials to find the finished which corresponds to you. The dream wall which every girl want at home? this is it! 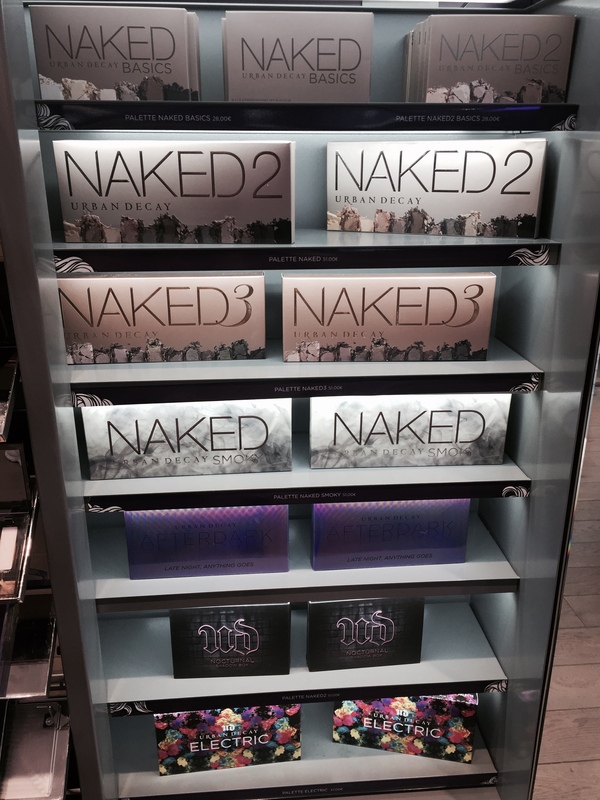 Urban Decay presents their palettes in illuminating shelves for the best-seller and mythic palettes of the brand. What fall for!